Home » Geek Adventure » Waiter, there’s a Hobbit in my soup! Not the most controversial of statements, after all this blog is called My Big Geek Adventure! Being a geek means that I’m a fan, I get excited and enthused about things I love and one of those things is Lord of the Rings. You can tell this by last years Halloween costume…. The perfect Halloween outfit for the vertically challenged! 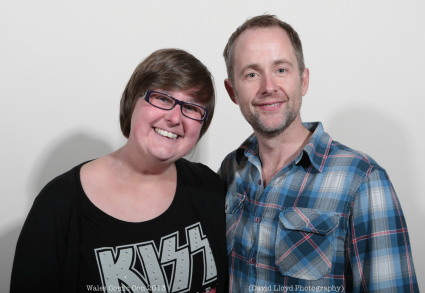 So, you can imagine how I felt when I walked into my local sandwich shop during my lunch hour the other day and there was Billy Boyd! 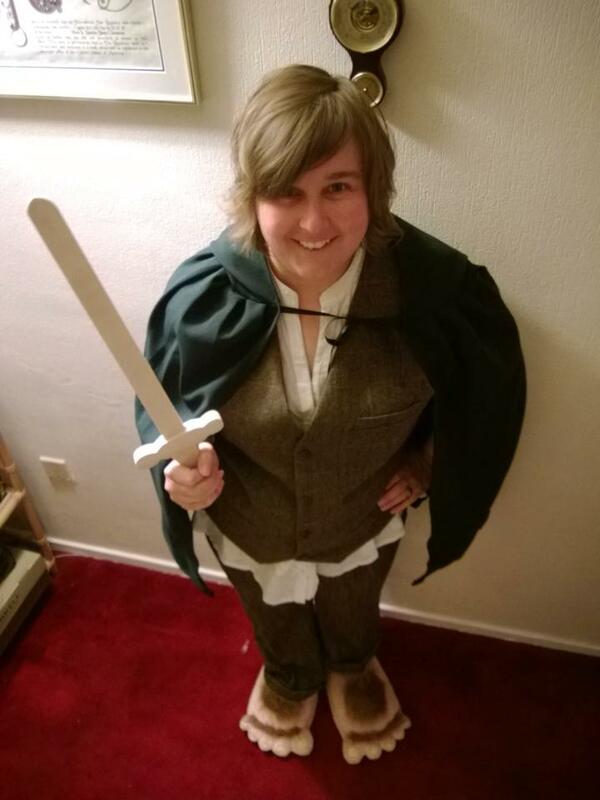 Otherwise known as Peregrin ‘Pippin’ Took, resident of Middle Earth and heroic Hobbit! What would you do in these circumstances? Would interrupt the conversation he was having with his friend to say hello? Would you keep looking over and hope that he realised that you are a frustrated fangirl and offered you a quick photo? One of the items on my list is to ‘Meet an inhabitant of Middle Earth’ and I had already crossed it off by travelling all the way to Wales to meet Billy at Wales Comic Con a year ago. If I hadn’t already crossed this off, I would have had to approach him. After all the point of the list is to push myself to try new things. Instead though, I tried to play it cool – chatting to my work friend and casting furtive glances over at him to see if I could see what movie stars eat for lunch. Leaving the sandwich shop, I burst out ‘DID YOU SEE THE HOBBIT?’ to my rather confused friend. You never know who you might bump into in your local cafe and if it’s a Hobbit, I hope you are braver than I am! Have you ever bumped into a famous person in Tescos? A celebrity in KwikFit? Did you approach them? The biggest regret of my life was seeing James Herbert in a restaurant. I didn’t go up to him, I felt he was a public figure out enjoying a meal, he does not want someone coming up an saying ‘I love your writing, The Fog have me nightmares!, I decided to wait until an officially sanctioned book signing. Sadly, he passed away as now I will not meet him. So I vowed, never let an opportunity like that pass by again!!!!! The way I look at it now is, the writers and actors that we admire are people just like us, so they probably wouldn’t mind at all! Thank you for reading my blog, I really appreciate it.